The pouches are sold per 10 pcs. So when you order '1', you get 10 pouches. 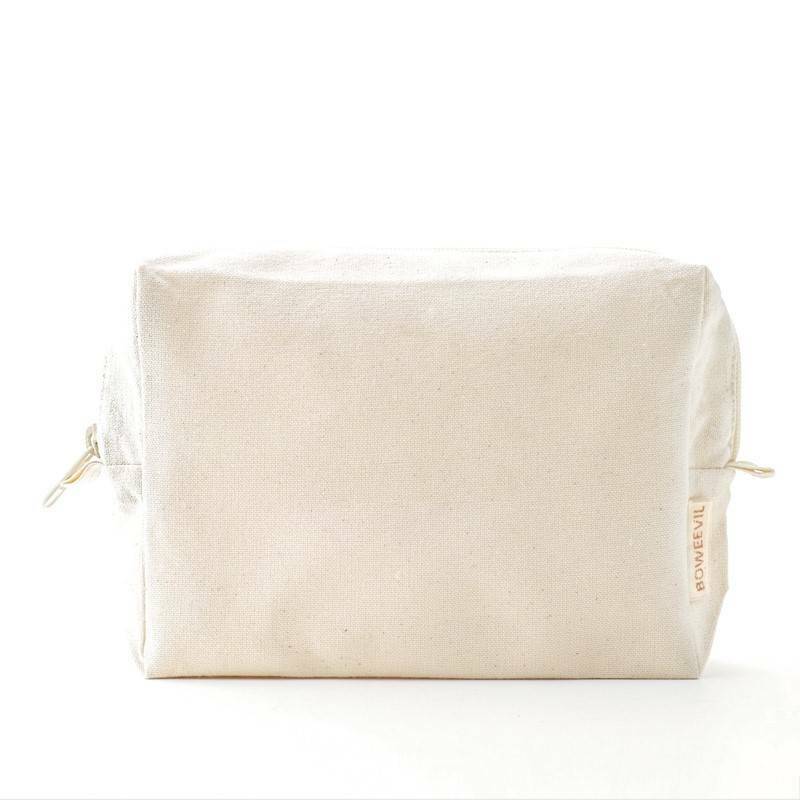 This cosmetic pouch is made of 100% organic cotton canvas, 340 gr/m². The bags measures 22cm wide, 16cm high and the bottom is 6cm. The zipper is approved by GOTS, brand YKK. The bag is washable at 30-40 degrees C, shrinkage is minimal. The materials is very suitable for printing and embroidery. The pouches are made in India. When your order is less then 100 euros, please go to Pure Fabricz.